Cashpoint Partners is the gambling affiliate program for Cashpoint.com which is an online gambling website that offers online sportsbetting, mobile betting, online casino and live dealer casino. The site is available in English, Dutch, Greek, Danish, German, French and Italian languages. The other brands in their portfolio is Cashpoint.dk and Cashpoint.gr. All the brands use their own software and also use Net Entertainment as well. The affiliate revenue share commission starts at 25% and goes up to 35% as on their website but if you perform well you can get up to 50%. If you refer other affiliates you get a 5% sub affiliate commission. Payment methods available for affiliates are Bank wire, Skrill (Moneybookers) and Neteller. The affiliate platform Casino Partners uses is powered by Income Access. With Income Access, affiliates can easily navigate with a dashboard that features the monthly stats' registrations, clicks, impressions, depositors and commissions earned. The reports section on the main tabs provides you with quick stats and reports on earnings, traffic, banner, referral accounts to name a few. On the marketing tools is where affiliates can find quite a selection of text links and banners to promote their brand. 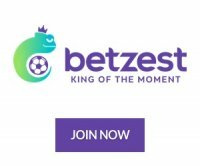 The company has been established since 1996 and they have a history of servicing players in the land based betting spectrum. They have competitive commission rates and they are keen to work with new affiliates and get new players on their gaming brands. Get a 25% revenue share commission up to 35% and get an even higher commission of up to 50% if you bring in good traffic. You can also get a 5% revenue share commission for referring other affiliates.